Finsbury is distilled with juniper berries, exotic fruits, herbs and spices according to an elaborate method from the 18th century. The recipe is a well-kept secret and unchanged to this day. 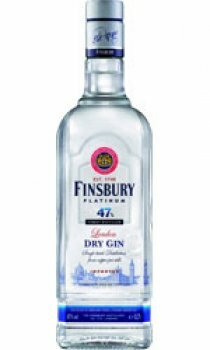 Finsbury is a particularly fine and mild representative of the flavour "London Dry Gin', preferred both internationally and in Great Britain. Finsbury Gin has a rich aroma with a fine and elegant bouquet and is ideal for many popular long drinks and cocktails, including the great world classics; Gin and Tonic, Singapore Sling and Dry Martini.